HTC’s next Windows Phone device is tipped to be named as W8. According to @evleaks, HTC W8 will be releasing on Verizon network and will be equipped with with BoomSound speakers and Duo Camera, just like the HTC One M8. 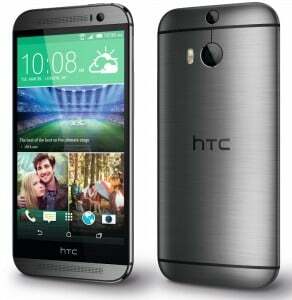 Even the naming convention seems to be inspired from its Android sibling, the HTC One M8. If it comes with similar design and hardware internals, it will surely turn some heads. The HTC One M8 comes with Snapdragon 801 SoC, 2 GB of RAM and a 4 MP UltraPixel camera married to a Depth Sensor and True Tone LED flash. However, it remains to be seen how HTC manages to get the Duo Camera work with Windows Phone. Will HTC come with a custom camera app just like Nokia’s Refocus and Nokia SmartCamera? We will get to know about it soon. @all mobile tech specialist-how is lumia 1320? pls suggest if its a good buy around that price? *If you’re OK with windows phone and crave for some excellent battery life then Lumia 1320 is an awesome buy. *From a value for money perspective also Lumia 1320 seems like a good device after all you get a gorgeous 6 inch HD display along with 1 gB of ram and a dual core Qualcomm Snapdragon S4 processor along with ardeno 305 GPU for just 18k as on flipkart. *Only downside is a 5MP camera with LED flash and competition has to offer 8 MP and higher counts but hey a 3400 mah is no joke right. *As a added bonus you will also get windows phone 8.1 update in future. thanks 🙂 is windows phone not good for day to day use? I’m using L1320 from two months. Its awesome mobile for day to day use. Better to go with Android. Android is very stable OS n most optimized one if its stock version. I use Android JB n Windows phone 8.1. Android gives me better experience n satisfaction compared to WP.